Park(ing) Day Fun! – U District, Lets Go! 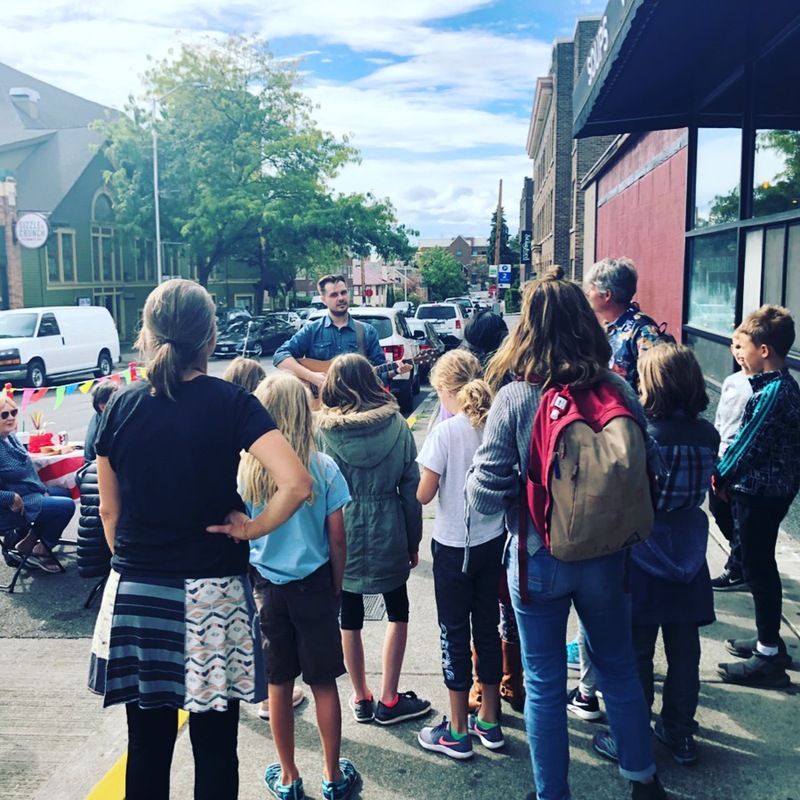 Earlier this month we participated in Seattle Department of Transportation’s (SDOT) Park(ing) Day, an annual global placemaking event in which community members lead the temporary transformation of parking spaces into people spaces! We were one of 5 other U District pop-ups. We partnered with the U District Partnership and featured two local artists, Young Chhaylee, and Tom Butler. We set out a few tables and chairs, and encouraged passerbyers to hang out, eat lunch, and enjoy the music. To encourage visitors to check out all other pop-ups, we created a passport and map. We included a space for community members to write their favorite components of the other pop-ups. One comment said they loved learning about all the local causes in the neighborhood. SDOT reported a record of 62 unique pop-up parks this year! Check out the map of all the spaces here. The Public Space Management group has many activation programs besides PARK(ing) Day that can be leveraged by local groups or organizations. Here is where you can find our more about their programs and connect with their resources. Thank you to all the people who stopped by our pop-up to reimagine what our public spaces can look like when people are prioritized over cars. A special thanks to our sponsors at the Residence Inn Marriott and T12 social house for donating the gift card for our passport contest!